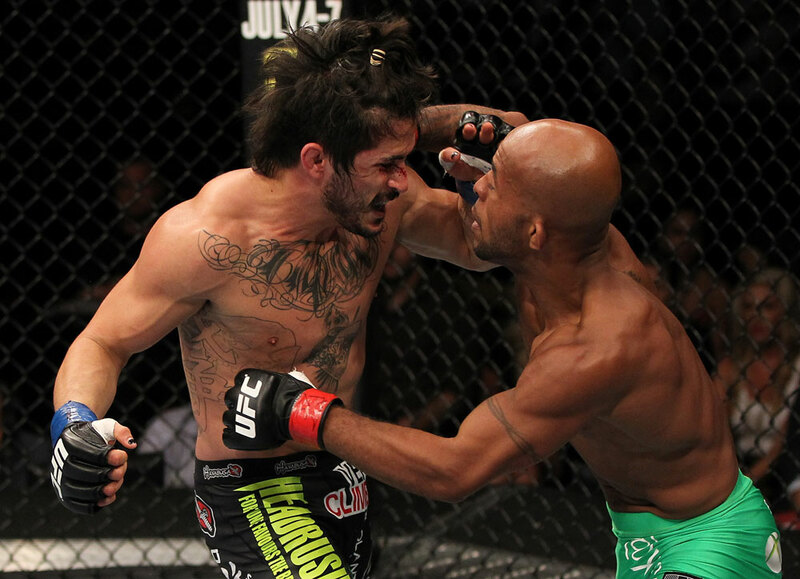 It’s pretty well understood that the biggest fights in mixed martial arts tend to occur within the Octagon. But from time to time there are fights that pop up in other promotions which garner attention for various reasons. On Sunday, such a fight is booked between two former UFC title contenders in Ian McCall and Kyoji Horiguchi, who are paired against each other at the upcoming Rizin 10 card in Japan. Perhaps one of the athletes with the worst luck in sports, McCall may have never rebounded from his dreaded draw against Demetrious Johnson back at UFC on FX 2 in 2012. In that fight it seemed that he found a way to defeat “Mighty Mouse,” but a judging error kept him from getting his hand raised. After that, a string of unlucky occurrences derailed the rest of his tenure with the Zuffa organization and personal problems continued to pile up. When McCall was first signed by the UFC in December 2011, many believed that the organization picked up the best flyweight competitor the sport had to offer. Yet that would never pan out, and in many ways UFC fans were denied the best that McCall had to offer. Horiguchi’s run in the UFC was nearly the exact opposite. 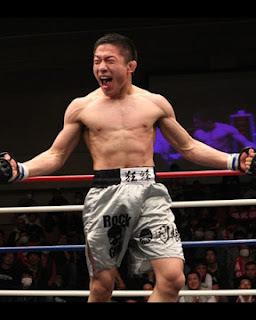 Even though he shares a similar foe and outcome in Johnson, Horiguchi had a much more successful time in the Octagon. 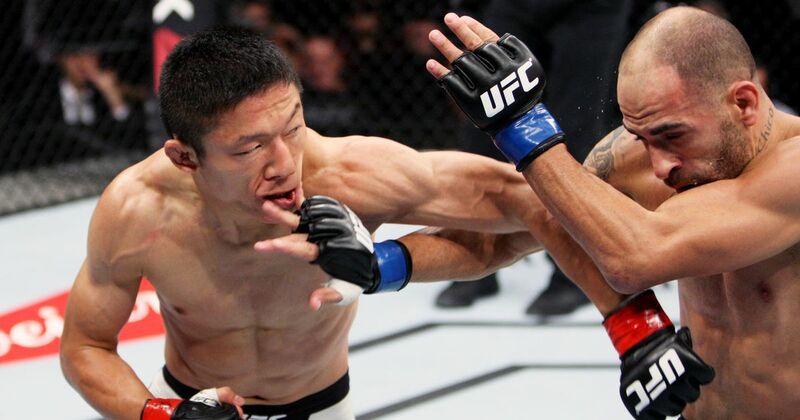 His 7-1 run in the Octagon helped him become one of the sport's top competitors from Japan, and at 27 years of age it seems like he’s poised to remain near the top of the list for some time to come. It will be interesting to see if McCall’s experience wins out over Horiguchi’s youth and athleticism. Heading into their fights with DJ these were touted as their major advantages over the man who would eventually become the UFC’s top champion. McCall has a diverse background that allows him to mix things up on the feet and on the ground, while Horiguchi is more of a point fighter that quickly gets momentum swinging in his favor. It would be a bad idea for McCall to attempt to play games with his speedy opponent, but if he can remain aggressive and keep things within close quarters, this is a fight that could go his way. Promotion-wise, this is a great fight for Rizin. Although it has a tendency to create “freak fights” that raise more questions than answers, the organization still gives fight fans contests that attract worthwhile attention. This is such a bout. Both McCall and Horiguchi could easily be in the contenders "mix" if they were still in the UFC. And to be honest, either man could return to the promotion in the future. But for Rizin, this bout gives the organization an opportunity to showcase a fight that elicits interest from the greater MMA world. 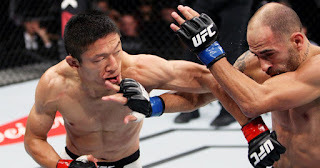 Although this fight will go down early Sunday morning, the pairing of Kyoji Horiguchi and Ian McCall is a worthy reason for fans to get up at the crack of dawn -- or just remain awake -- to catch high-level competition going on outside of the UFC. Rizin FF 10 takes place May 6, 2018 at Marine Messe Fukuoka in Fukuoka, Japan.